Western Pennsylvania is home to some of the best hospitals in the world, but despite all of the accolades, accidents unfortunately occur. In Pennsylvania, the Medical Care Availability and Reduction of Error Act (“Mcare”) established the Pennsylvania Patient Safety Authority. The purpose of Mcare is to ensure reasonable compensation for persons injured due to medical negligence. Through mandatory reporting requirements, the Patient Safety Authority collects reports of “serious events” and “incidents” occurring at Pennsylvania facilities. Its goal is to use the data to help reduce and eliminate medical errors. Hopefully, neither you nor a loved one is ever harmed as a result of medical negligence. If you are, however, you should contact an experienced medical malpractice attorney. Generally, any lawsuit for damages resulting from injury or death must be filed within two years of the negligence. This deadline is known as the statute of limitations. If you think you may have a possible claim, you should contract attorneys at Giuffre Law Office. We will consult with you free of charge and if legal action is necessary, will represent you on a contingent fee basis. Unless your vehicle creates a dangerous condition or must be moved for some other reason, do not move your vehicle. Often the location and position of the vehicles after an accident can be very important in determining fault. Call the police. There may be no better independent witness than a police officer, who, with their report, can help prove who was at fault. The police officer’s report will usually contain statements from the drivers involved, witnesses, a diagram of the accident, date, time, whether, and road conditions. In addition, a police officer will typically acquire each driver’s name and address as well as insurance information. Whether or not the police are called, it is very important to obtain the other driver’s information license and insurance information. If the other driver refuses, and you have not already contacted the police, do so. If additional witnesses identify themselves to you, be sure to obtain their name and contact information. The days after an accident can be stressful. You may be contacted by your insurance company or the other driver’s insurance company. It may be unwise to try to handle the claim on your own as an insurance company may try to shift blame for the accident on you or prove you were not injured as a result of the accident. In light of this, you should contact a lawyer with experience in handling auto accident claims. If you are injured in an accident, you may have a claim for uninsured motorist coverage or underinsured motorist coverage. Both types of coverage are benefits you may have with your insurance carrier. Often, being injured in an auto accident leads to disputes with one’s own carrier over benefits due to you. Insurance companies sometimes deny claims for first-party benefits or deny claims for uninsured or underinsured motorist coverage. Such denials can result in a bad faith claim. 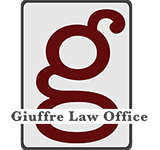 An attorney from Giuffre Law Office can explain each claim to you and aid in seeking possible avenues of recovery. Under Pennsylvania law, property owners have a duty of care to maintain their property to protect you from unnecessary risk. If you are harmed as the result of the negligence of a property owner, you may be able to recover damages. Examples of premises liability claims include, for example, slip-and-falls due to icy conditions, spills, broken and uneven sidewalks, as wells as dog bites or injuries from falling objects. If you have suffered from any of the above, attorneys with Giuffre Law Office are here to meet with you to discuss any possible claims.